Dualstream 1 is a solution for allocation or monitoring of 3-phase flow rates in gas condensate wells. It is typically used on a per well basis. Installed either in the Xmas tree, removable choke bridge, jumper or manifold. It is ideal for high GVF applications. 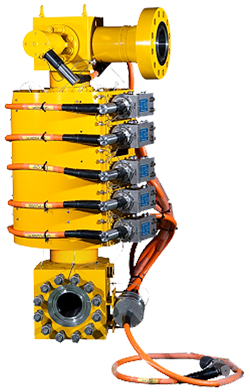 By only deploying standard redundant sensor systems subsea, all flow computation is carried out topside ensuring minimum intervention during the life of the field.